It’s a Deco Mesh Christmas in the Siomacco house! 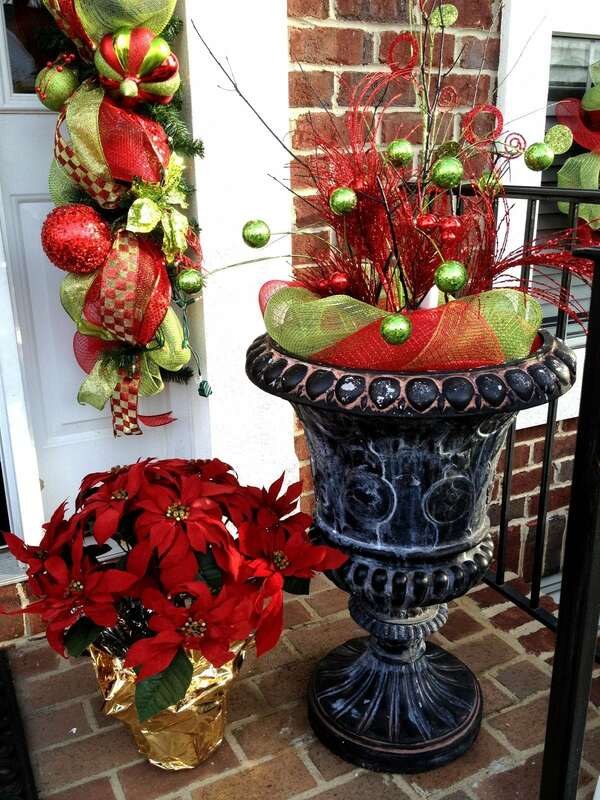 Once all of my custom Christmas orders started to settle down, I had to get busy with decorating my own home. 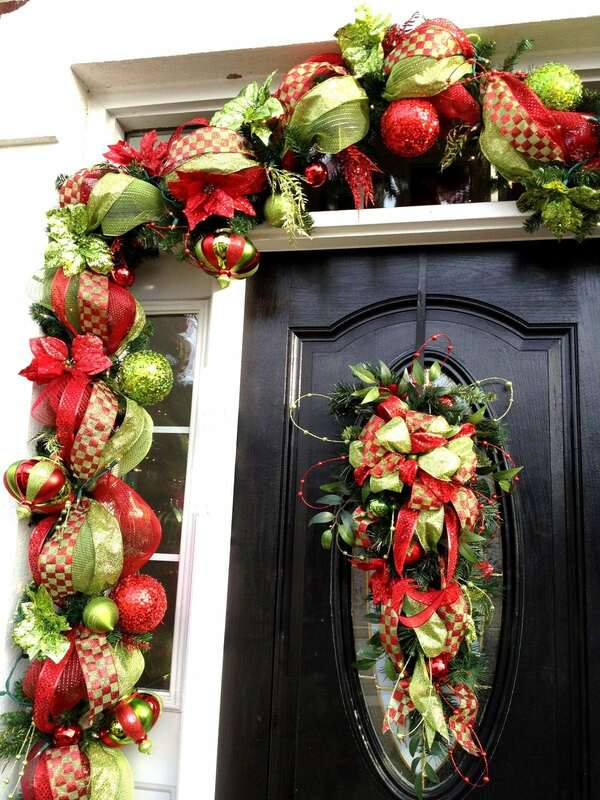 And due to the success of my ebook, Learn Deco Mesh Wreath Design, I decided to decorate the outside of my house with deco mesh. 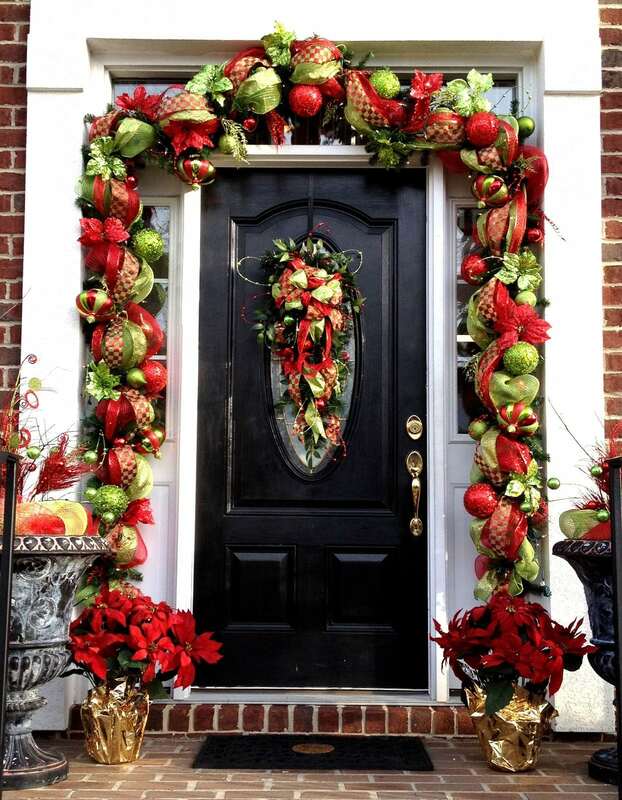 Since the colors of red and lime green were extremely popular this year, I decided to use these colors for the outside of my house. 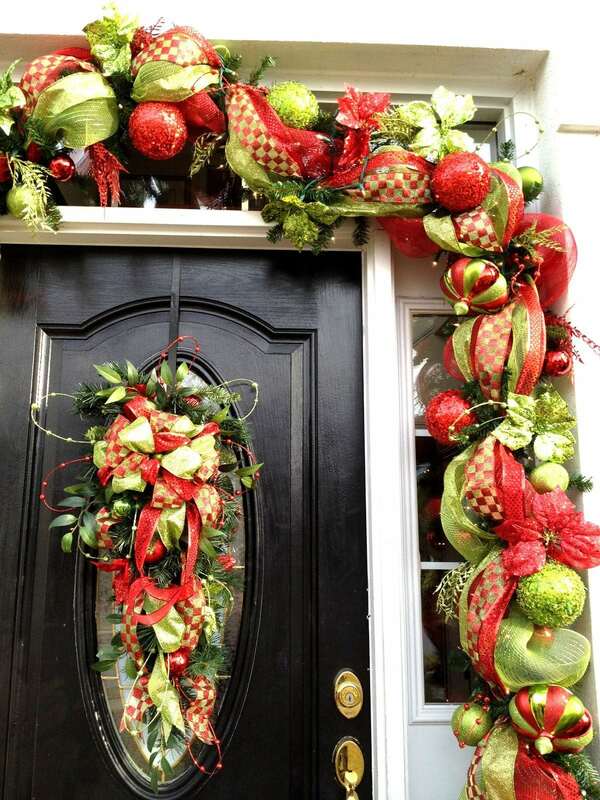 First, I started by making ten deco mesh wreaths for each of my front windows. I used an artificial evergreen wreath as my base. 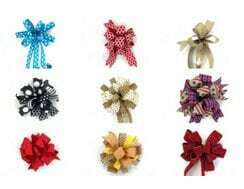 These are sold craft stores and on Amazon and are inexpensive. I used the 10-inch deco mesh ribbon and alternated the colors to give it more of a whimsical look. I have to say that creating a deco mesh wreath on this type of wreath form is more difficult than any of the other wreath forms. I first had to mark points where I wanted to tie in my deco mesh. 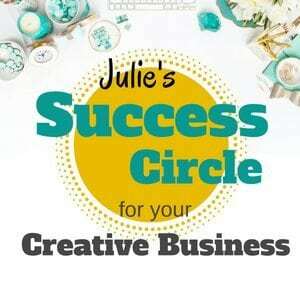 Then I needed the deco mesh to extend past the wreath form, both on the outside of the wreath and the inner circle of the wreath. 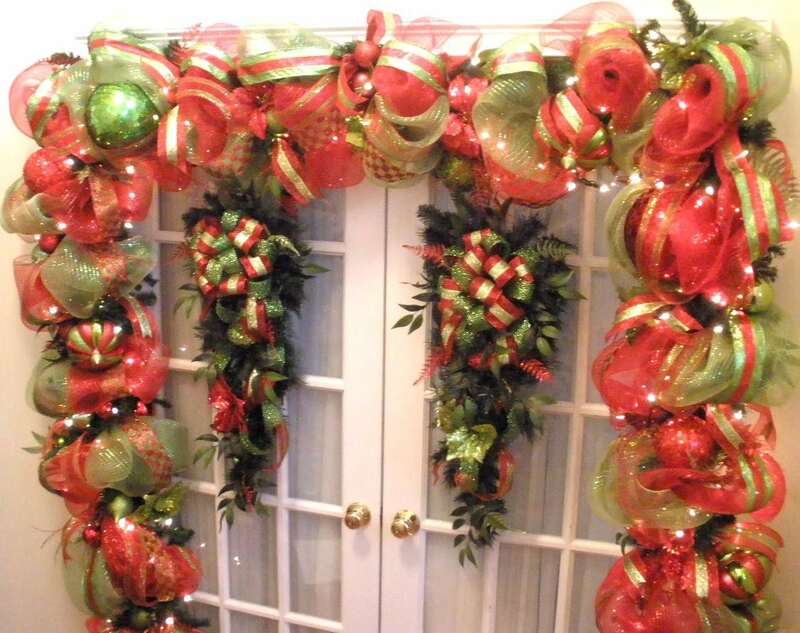 I made the garland around my door using two 9-foot x 14 inch evergreen garlands, two 10-inch colors of deco mesh in red and lime green colors and 30 yards of ribbon in 3 different patterns. 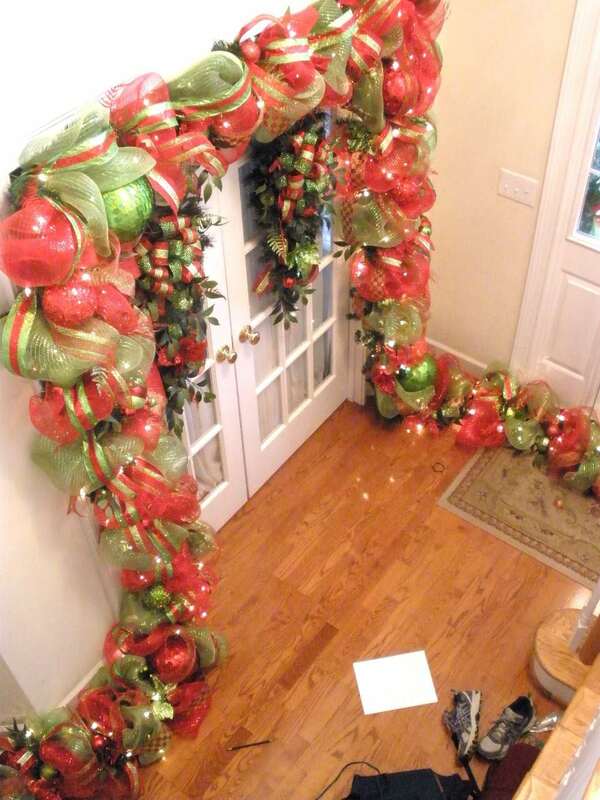 I then wired each ornament and flower into the garland. 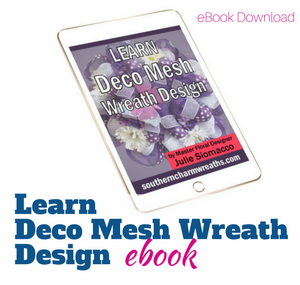 I also demonstrate how to make a deco mesh garland my ebook, Learn Deco Mesh Wreath Design. My urn planters were stripped of their fall plants. I had already spray painted tree branches black that I use in my planters year round to give more height and dimension and decided to leave these in. 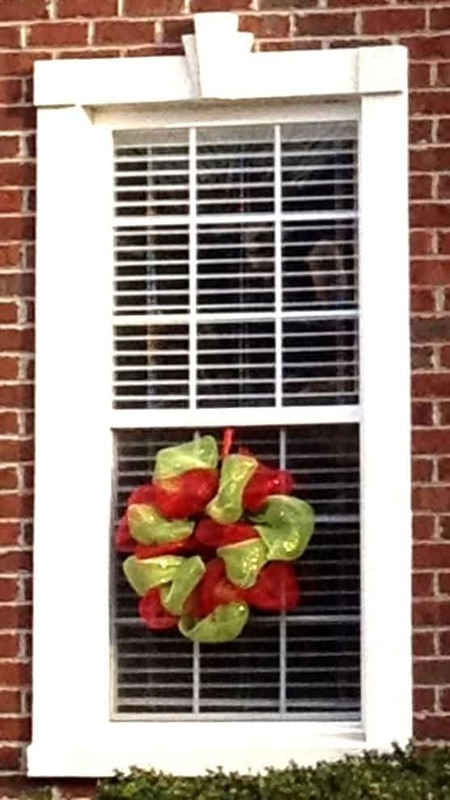 I wrapped the deco mesh around the base of these branches an added floral picks and ornaments in the same color scheme of red and lime green down the center of the deco mesh. 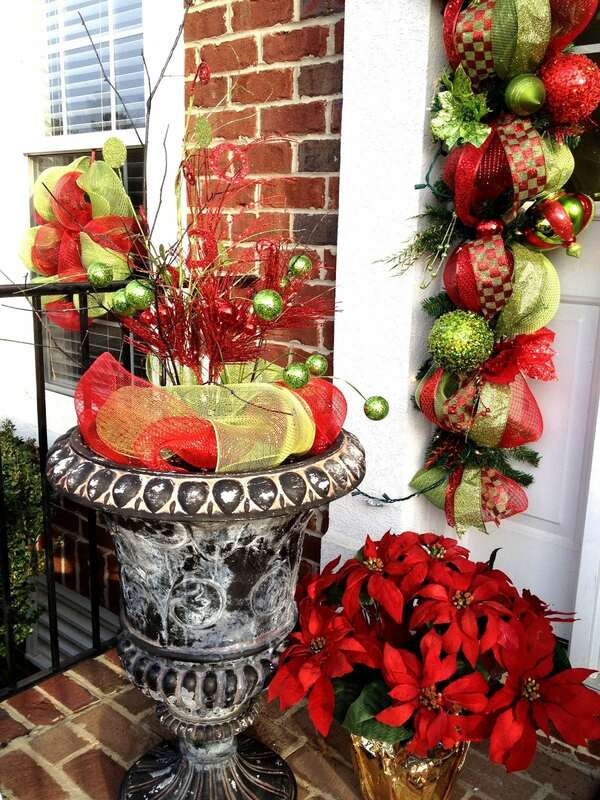 Bright red poinsettias flank the door. Thanks for looking and I hope this helps with your own decorating. 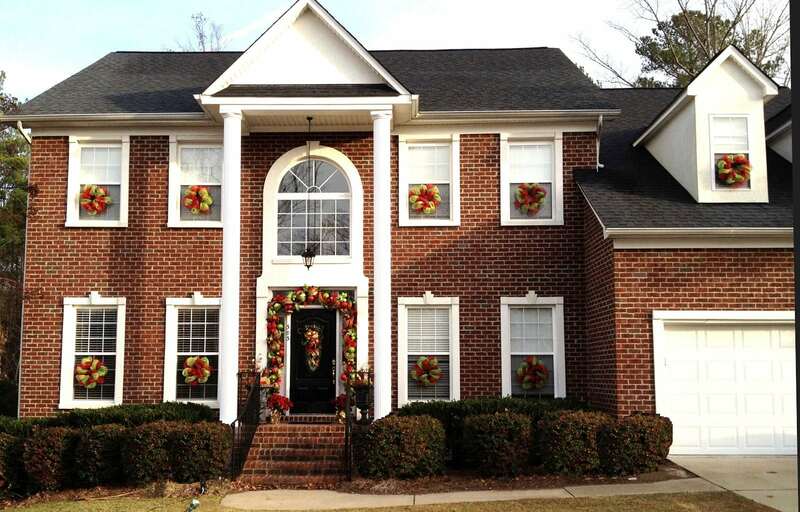 Here is another deco mesh garland made for a customer that was shipped. 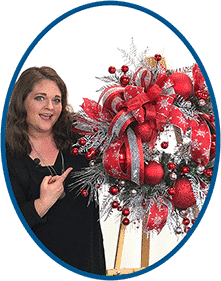 If you would like to learn to make your own deco mesh wreaths and garlands, check out my ebook here..
OMG, you’re so right. Fixing it right now. Thank you so much for letting me know!